When there’s a big event or special occasion or an out-of-town vacation coming up, I find myself restless the night before. Sleep eludes me, because my mind is rattling off an imaginary checklist of things to do, to bring, to prepare, and to buy along the way. The curse of the moms, I realize now, is having to think of everything and everyone. So when stress becomes my constant companion, I turn to lists and checklists to calm my frazzled nerves. Writing everything that I need to do and prepare gives me the assurance that I won’t forget anything. Sometimes, when the trip is short, I don’t make lists anymore and just tick things off the top of my head. However, I find that I always forget something to do or leave something behind that I was supposed to bring. So it really pays to make the list, and double check everything before you step out the door. What is it like, a day in your life? Picture all the activities and things you use in your day-to-day. Or you can walk through your whole event. This will help you imagine all the details needed to be accomplished in real life. I usually show my list to another person (usually my husband) so he can double check if I missed anything that may not be on this list. It’s not always what your bring with you; sometimes, it’s the stuff you leave behind that is most forgotten. Always remember to keep your house in order (Have you paid bills? Have you checked all utilities before leaving the house? Etc) before attending to commitments. Today, a lot of smartphones are already capable of apps that have built in lists with times, alarms and reminder systems. So if you’re the digital type, maximize these platforms to help you plan the details better. Don’t hesitate to ask for others’ help to remind you about important things to bring or do. Choose wisely though, that the person you asked help from has a better memory than you! 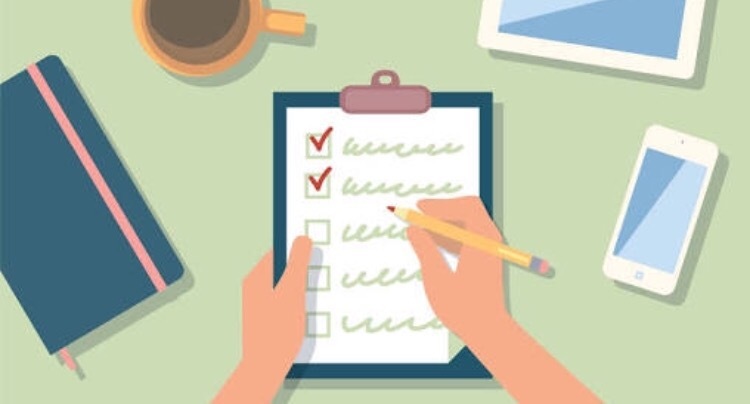 Lists should not be limited to daily tasks, as these may also be applied to the greater aspects of life, or what is commonly known as your personal “bucket lists”. Whether short-term or long-term, the important habit to learn is to write these lists down, so that it imprints not just in your memory, but also commits it to heart.